Main focus: Excellent for targeting the rectus abdominis muscle (tummy) – strengthening and toning the vertical stomach muscles for sports and more tone on the beach. Without CoolBoard: Isolated from any instability, your stomach muscles will only be worked in one direction. With CoolBoard: Now your support can move in all directions. Your body must control and minimise that movement so more muscles must do more work. 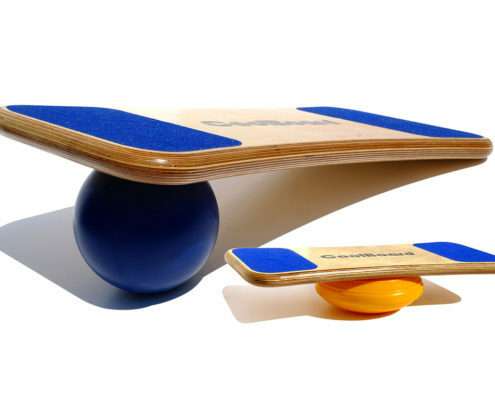 Your core and many stabilising structures must constantly work to hold the CoolBoard steady while executing the Crunch. Think gym ball training on steroids!